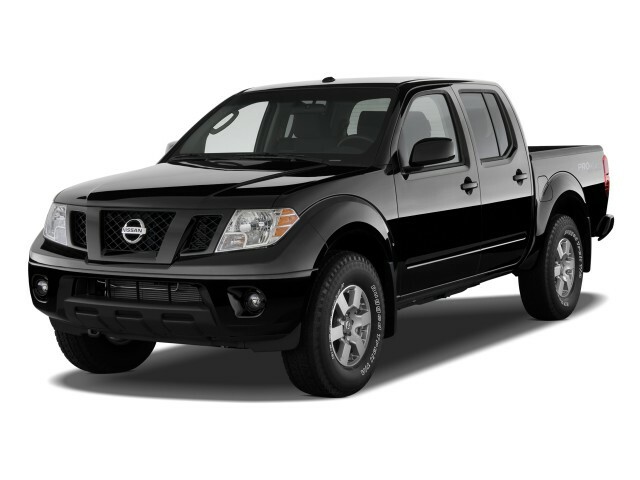 As with most pickups, the 2011 Nissan Frontier is offered in so many trim possibilities that it can be a little dizzying. Check out the possibilities, build the truck you want online, then shop for it. With enough toughness for personal use, as well as a good feature list, the 2011 Nissan Frontier shows that you might not need to go full-size. The 2011 Nissan Frontier is built on the same frame as the larger Nissan Titan and, appropriately, is more mid-size than compact. That said, the Frontier feels like a mix of traits from compact and full-size trucks. 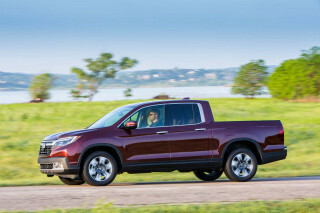 In Crew Cab form, its interior approaches the level of features and amenities of a full-sizer, yet a fuel-efficient four-cylinder model is still offered in some of the most basic models. The Frontier has gone most of a decade without a serious redesign, but it goes to prove the success of the look; it's chunky and masculine, with just the right level of detailing on the outside. Only inside is the Frontier starting to show its age; it's a little more plasticky, a little less fluid in layout, than the newest pickups, especially the larger ones. For some shoppers, the lack of a V-8 in the Frontier might be the signal to move up to a larger truck. But the 4.0-liter V-6 that's standard on most Frontiers and optional on some of them makes 261 horsepower, and pairs well with the automatic transmission, providing plenty of torque in the mid-range for strong acceleration and good passing punch. Towing capacity rates up to 6,500 pounds. Throws are rather long for the manual transmissions, but they work well, as does the five-speed automatic, which responds nicely to quick passing needs. And if you're thinking of the four-cylinder for better gas mileage, we wouldn't count on it; the base 152-hp, 2.5-liter will be wheezing with heavy loads and hard-pressed unless you only drive lightly loaded on level terrain. You can choose between King Cab and Crew Cab versions, as well as between rear- or four-wheel drive, throughout most of the lineup. We'd recommend the 2011 Nissan Frontier Crew Cab if you need easier backseat entry and enough regular space for two kids; the King Cab configuration allows for occasional backseat passengers with small front-hinged rear access doors and flip-up backseats, but they're puny and uncomfortable for adults. No matter which way you go, the supportive front seats afford a nice, upright driving position with good outward visibility. About the only down side for comfort is the Frontier's ride, which can get pretty choppy. The Frontier can haul cargo—which is, after all, what matters most for a large subset of pickup buyers—only as well as other compact or mid-size trucks, although its stout frame is certainly up to the task. Beds for the Frontier are six feet long at most. 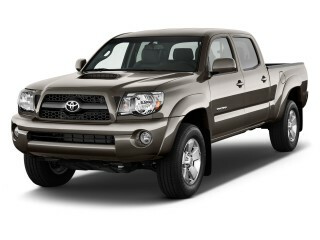 But the Frontier offers several features not otherwise found in pickups in this price range. The cargo bed includes a factory-applied spray-in bedliner, and for those who need to secure small or heavy items in back, we recommend the available Utili-Track cargo tie-down system. While equipment in the Nissan Frontier hasn't changed notably for 2011, its trim levels have been renamed. The base four-cylinder Frontier S models remain very basic and go without air conditioning, power windows, and even a tilt steering wheel. SV models get more popular equipment, like larger 16-inch alloy wheels, chromed bumpers, a sliding rear window, tilt steering, cruise control, air conditioning, keyless entry, tilt steering, and power windows and locks. Top SL models, only offered in the Crew Cab body style, get a roof rack, step rails, fog lamps, tie-down cleats, the Utili-Track system, plus heated leather seats and Bluetooth hands-free, in additioni to a Rockford Fosgate eight-speaker audio system. The PRO-4X remains the way to go for those who plan to need serious off-road capability; it somes with upgraded Bilstein off-road shocks plus skid plates. Options on the Frontier include a limited-slip differential, leather seats, a high-powered Rockford Fosgate audio system, and a choice of either XM or Sirius Satellite Radio. The 2011 Nissan Frontier has a handsome, nicely detailed exterior that's aging well, but the same can't quite be said about the interior. Designers can't do much with the shape of a pickup; there's the cab and the bed, and the proportions are quite rigidly set. But with the Frontier, Nissan managed to fit in some carlike curves, along with styling cues that are in line with more luxurious SUVs. The large chrome-bar grille is sophisticated, while the beveled window frames and flared wheel wells give it a chunky, serious appearance that's also tough and charismatic. Inside, the design is quite straightforward, with inexpensive-looking materials but a tasteful layout. It's a little more plasticky, a little less fluid in layout, than the newest pickups, especially the larger ones. 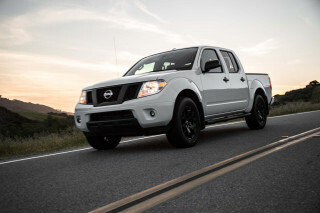 Get the V-6, and you'll be satisfied with the performance on tap from the 2011 Nissan Frontier. For some shoppers, the lack of a V-8 in the Frontier might be the signal to move up to a larger truck. But the 4.0-liter V-6 that's standard on most Frontiers and optional on some of them makes 261 horsepower, and pairs well with the automatic transmission, providing plenty of torque in the mid-range for strong acceleration and good passing punch. Towing capacity rates up to 6,500 pounds. Throws are rather long for the manual transmissions, but they work well, as does the five-speed automatic, which responds nicely to quick passing needs. And if you're thinking of the four-cylinder for better gas mileage, we wouldn't count on it; the base 152-hp, 2.5-liter will be wheezing with heavy loads and hard-pressed unless you only drive lightly loaded on level terrain. Across the lineup, you'll find that the Frontier steers and handles quite well, with accurate, communicative steering and good body control—without the shudder and hop that affect some truck suspensions especially when lightly loaded. 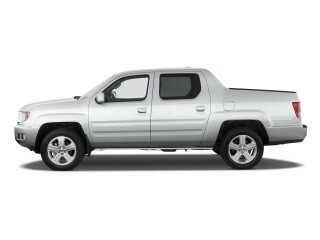 The 2011 Nissan Frontier has good, comfortable seats; but its ride quality and cabin materials could be better. 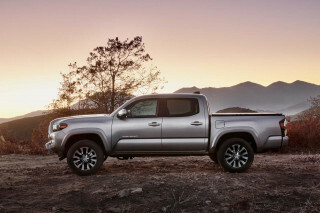 You can choose between King Cab and Crew Cab versions, as well as between rear- or four-wheel drive, throughout most of the lineup. We'd recommend the 2011 Nissan Frontier Crew Cab if you need easier backseat entry and enough regular space for two kids; the King Cab configuration allows for occasional backseat passengers with small front-hinged rear access doors and flip-up backseats, but they're puny and uncomfortable for adults. No matter which way you go, the supportive front seats afford a nice, upright driving position with good outward visibility. About the only down side for comfort is the Frontier's ride, which can get pretty choppy. The 2011 Nissan Frontier is quite respectable in safety, relative to other trucks its size—and one of few to score well in roof strength. While the 2011 Nissan Frontier doesn't quite cover all the bases in safety, it's one of the safer picks among trucks this size—and its shared underpinnings with the larger Titan pickups might just have a role in that. However, it's also one of the best in its class in some important respects. 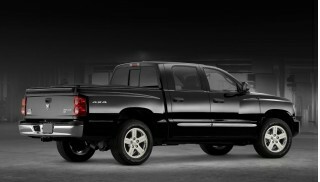 Last year it was the only one, of five compact and mid-size pickups tested, to earn a 'good' rating in roof strength. The 2011 Frontier hasn't been rated under the newly revised federal testing system; but in the former—largely more lenient—ratings, it achieved a mix of four- and five-star ratings in federal frontal tests and five stars in NHTSA's side test. Otherwise, the Frontier has a reasonably good safety-features list, though electronic stability control isn't offered on four-cylinder models (it's standard with the V-6). Hill Start Assist and Hill Descent Control testify to the Frontier's off-roading credentials. Cars.com reports that "all-disc antilock brakes are standard," and Car and Driver notes the "active headrests for the front seats," as well as a tire pressure monitoring system and seatbelt pretensioners. There's no nav system on offer, but with some nifty cargo solutions and specialized models, practicality and comfort are well-represented in the 2011 Nissan Frontier. While equipment in the Nissan Frontier hasn't changed notably, its trim levels have been renamed. The base four-cylinder Frontier S models remain very basic and go without air conditioning, power windows, and even a tilt steering wheel. SV models get more popular equipment, like larger 16-inch alloy wheels, chromed bumpers, a sliding rear window, tilt steering, cruise control, air conditioning, keyless entry, tilt steering, and power windows and locks. Top SL models, only offered in the Crew Cab body style, get a roof rack, step rails, fog lamps, tie-down cleats, the Utili-Track system, plus heated leather seats and Bluetooth hands-free, in additioni to a Rockford Fosgate eight-speaker audio system. The 2011 Nissan Frontier PRO-4X remains the way to go for those who plan to need serious off-road capability; it somes with upgraded Bilstein off-road shocks plus skid plates, plus huge BFGoodrich trail tires. 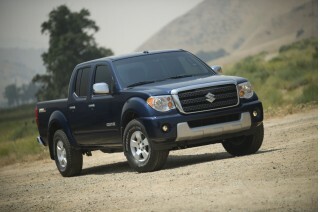 In its most popular (and useful) forms, the 2011 Nissan Frontier isn't really any greener than a full-size pickup. As a smaller (read, mid-size) truck, it would seem that the 2011 Nissan Frontier would be more fuel-efficient compared to full-sizers. But that's not all true. Compared to Nissan's larger Titan, yes; but the Titan is one of the thirstiest pickups. Oddly, the Frontier gets mileage ratings that, at 14/19 with 4WD the V-6 are about on par with V-8 trucks from GM and Ford.